When most people think about fighting climate change, they think about driving less, using wind power, or protecting carbon sinks like the rainforest. However, cover crops are a farm practice that sequester carbon, improve water quality and improve a farmer’s profitability all at the same time. Indiana farmer Ray McCormick visited National Wildlife Federation’s Washington, D.C. advocacy center recently to speak to Congress about the importance of conservation; while he was here, he shared with us the reasons he is so enthusiastic about cover crops. Cover crops are exactly what they sound like; they are non-commodity crops that cover the soil during the winter when fields are usually left bare (hence the title of this blog). Some popular examples are annual ryegrass, winter wheat, clover, and radish. If grown correctly, can improve soil moisture. Learn more about cover crops by downloading NWF’s Future Friendly Farming report. 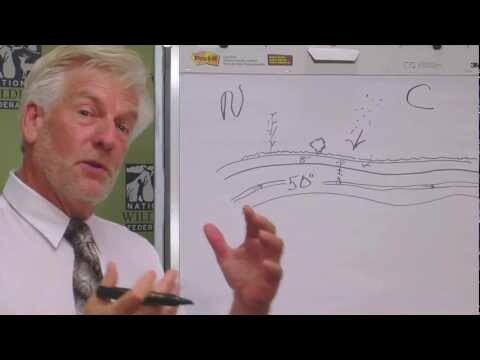 Watch the video for Ray’s take on cover crops. Cover crops are gaining popularity as a farming practice for good reason. “Don’t Farm Naked” is an unofficial slogan developed by cover crop enthusiasts to show support for this practical and beneficial farming practice. The Practical Farmers of Iowa created awesome “Don’t Farm Naked” t-shirts and the Natural Resources Defense Council Switchboard offers additional perspective on cover crops. Cover crops are a great way to improve air and water quality while providing food and habitat for wildlife. However, incentives for farmers to use conservation practices may be in danger if the proper protections are not included in the next Farm Bill. Make sure Congress knows you care that wildlife protections are in place in the 2012 Farm Bill.